In the end, it took a local hashtag for me to kickstart this blog. These tweeps I know in the third-dimension (and some I do not) began to chatter about a loose coalition of Guelphites wanting to geek out over their favourite records. I was all, “wtf y not”, and decided I would like to contribute, ok? The first installment of the #GMC is a five-part week-by-week series. Apparently, I was sleeping while this beast was being created. Shout out that dude Aaron tho @ MusicLives for graciously putting me on despite missing the first deadline. So, the initial challenge is to list your top five albums that emerged between the period of 1963-1973. It is one of the most beautiful albums ever made. Also, the quintessential bossa nova record. Getz had already been touched by the genre upon returning to the United States from a European trek in the early 60s. He collaborated with Charlie Byrd and Luiz Bonfá on the Jazz Samba series which primed American audiences for a bossa nova craze that would peak and ultimately be defined by the release of Getz/Gilberto. Soothing vocals and gorgeous harmonies, this is one of those records everyone needs to hear before they die. The smooth-as-butter sax of Getz adds just the right amount of spice to the sparse guitar of Gilberto. 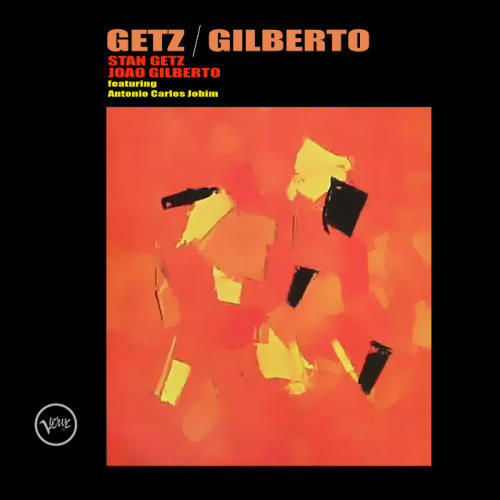 Getz/Gilberto is a legendary piece of work appropriate for almost any occasion. As a side, since I missed out on week one and was forced to condense this list to four, I am going to double down on @Bookshelfnews and give a shout to Mr. Marvin Pentz Gaye, Jr. and his masterpiece, What’s Going On. No need to go too in depth as it has already been covered.. but, in my opinion, this is one of the most delicate, powerful, and enduring records of all time. His words and sentiments remain as pertinent today as ever. Gordy wanted Marvin to drive Miss Daisy. Mr. Gaye wasn’t with it. I dare you watch this without smiling.